Comments: I developed the Film in a print developer, which resulted in very hight contrast. 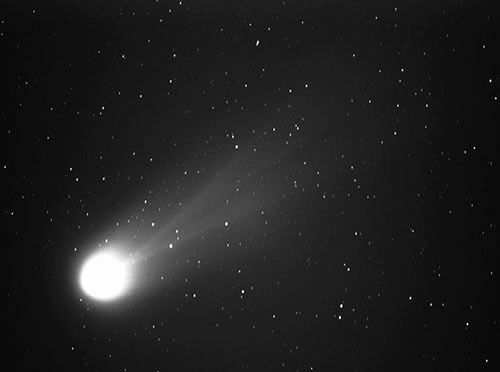 The hight contrast is good for the comet, but it enhances the vignetting very much. I used my Super Polaris mount, without guiding corrections. 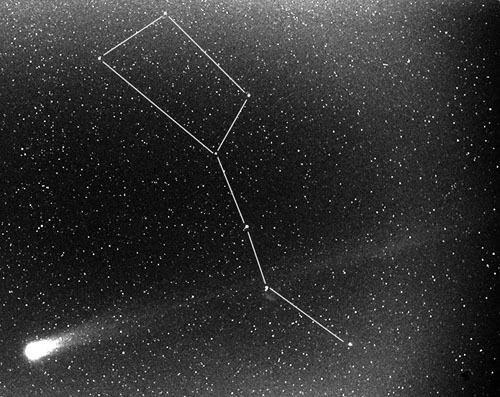 Because of that, the stars are point-like, but the comet (which moved during the exposure) shows no detail.